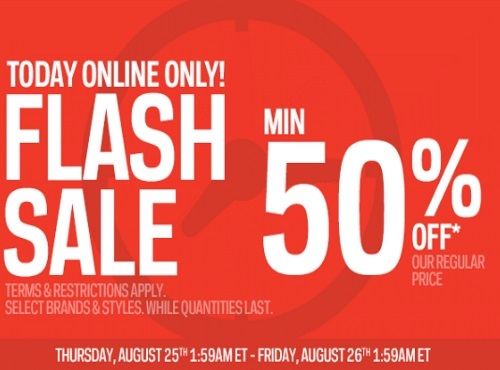 Sportchek has another Flash Sale today! Save a minimum of 50% off regular price on select brands and styles! This offer is valid online only from 1:59am ET Thursday, August 25-Friday, August 26 at 1:59am ET.